KU Leuven launches the KU Leuven Fund for Fair Open Access, enabling the publication of scholarly books and articles in a way that is cost-effective, puts academics back in charge and benefits the public at large. On January 1st 2018, OpenAIRE entered a new exciting phase with the start of the OpenAIRE-Advance project. 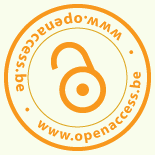 Open Access week will not go unnoticed as the Belgian universities combined forces for a two day event exploring the ever broadening and deepening topic of Open Science. The event called ‘Open in order to advance science’, had a two day programme with the first day dedicated to sketch a general view of the challenges and opportunities of Open Science. The second day looked into more advanced topics regarding scholarly communication, legal issues, infrastructure and research data management. The conference was primarily aimed at PhD’s, research support staff, researchers, librarians and data providers. How is the current OS framework evolving? Can you increase impact and visibility through OA? What are the limitation and possibilities to the copyright legislation with regards to OS? Are flipping the system into an APC market, block grants or offsetting agreements valuable alternatives to the subscription-based system? What is the added value of ORCID registration? How to start managing your data and how to use the online DMP-planning tools? What can you do to identify yourself as a researcher in an open way? What can the role of libraries be in the changing landscape of scholarly communication? What is the connection between open science and citizen science, what are the possibilities to involve the public and the benefits or limitations of this approach? The second day gave way to discussions about how to handle new challenges such as research data management, legal aspects such as data protection, infrastructure needs and new publishing models. Rethinking incentives to encourage open research and embedding them transversally rather then just adding them, was the key message of the first talk. An update on the framework of the new general data protection regulation in Belgium and the state of affairs in Europe followed. In addition an overview of relevant copyright regulations and the exciting prospect of a possible exception for researchers to make the author manuscript available no matter where copyrights lay, if the publication is financed by public money for at least 50% was presented. The correlation of traditional metrics of scientific impact and the way research is conducted seems to be at the core of changing the system. A next presentation gave insights into what alternative metrics have to offer and what they can mean for the future. The conversation was continued with the particular example of OA in the Royal library and a quick view on industry trends for repositories. A view on the European Open Science infrastructure and network OpenAIRE made clear how important services were to the success of Open Science practices. In the afternoon the topic of research data management was introduced by means of presenting the survey preceding the VLIR white paper with suggestions and requirements for RDM from the Flemish universities. The survey uncovered that advantages of good research data management are generally recognized but legal issues and lack of time are often a hindrances for putting it into practice. The joint policy statement of the VLIR recommends investment in infrastructure, education, and to provide clear legislation and incentives for open science. Finally some practices already in place at federal as well as university level where presented, from the DMPonline.be tool to RDM policy frameworks, training and RDM working groups. Programme ‘Discover’ on 23 October 2017. Programme ‘Advanced’ on 24 October 2017. In celebration of the 10th International Open Access Week, the Belgian universities present a two-day conference: ‘Open In Order To Advance Science’, elaborating the benefits that can be realized by making scholarly outputs openly available. This two day event will have an introduction day to find out what Open Science is all about and to update your existing knowledge. The second day proceeds with a more comprehensive and in depth overview of how institutions and support staff can accelerating the translation of Open Science theory into research practice. Registration are now closed. Do you know about Open Science? You might still be unsure what is in it for you! Why is it beneficial and how can it be implemented? What better way than hearing from successful fellow researchers and professionals who have built their career promoting Open Science! This day is aimed at researchers, PhD’s and research support staff. Are you familiar with the basic concepts of Open Science but looking for more in-depth information? Are you seeking further expertise and training? On the second day of this conference we are looking to deepen our knowledge and provide a platform for all Open Science enthusiast. This day is aimed at librarians, supporting staff and research offices. You are invited to join two days of talks, debates and discussion. Registration is free of course but mandatory as we’d like to be well-prepared for your participation. Currently the registrations are closed. For more information or questions you can mail send us an e-mail.